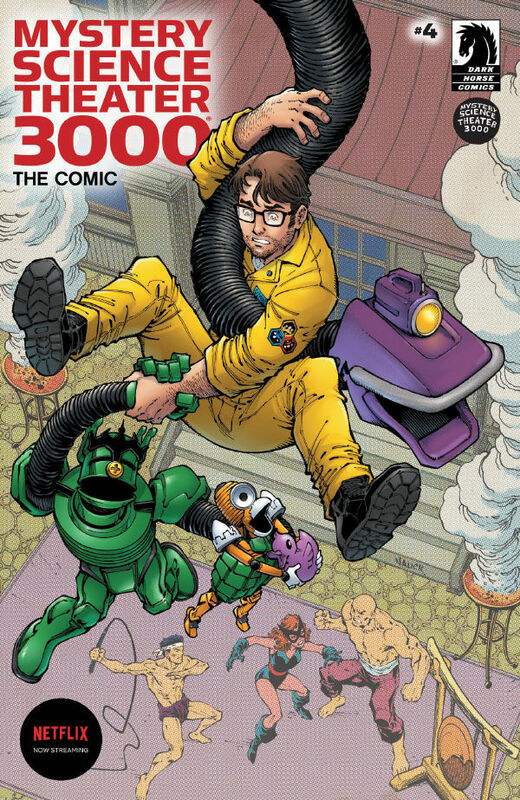 [EXCLUSIVE] Dark Horse Preview: Mystery Science Theater 3000 #4 – AiPT! Comics may never be the same after this, but at least there will be Totino’s Pizza Rolls! From the 1940s to the 1960s, Jonah, Crow, and Tom Servo are trapped across three decades of public domain comics! Meanwhile, in the not-to-distant future, mad scientist Kinga Forrester plans to monetize their plight! Comics may never be the same after this, but at least there will be Totino’s Pizza Rolls!